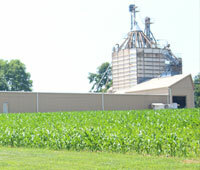 We offer a full line of coverage for farms: dairy, poultry, beef, hog, equine, crop, vegetable, orchards and specialty. Weaver Insurance's unique advantage over our competitors is that our farm agents all have farm experience in several types of farming. This puts our agents in our customer's shoes, allowing us to fine tune coverage to each individual farm. Another advantage of working with Weaver Insurance is that we write policies with most of the major agricultural companies which do business in Pennsylvania, Delaware and Maryland. 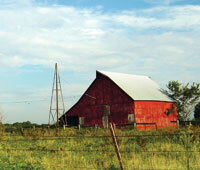 This gives us the ability to find the best coverage for the lowest price for your farm. A valuable risk management tool that allows growers to insure against losses due to crop revenue price drops, adverse weather conditions and wildlife. A minimum level of crop insurance, called CAT insurance, is available to all farmers (majority of the premium will be paid by the federal government) Higher levels of crop insurance (buy up protection) are also federally subsidized.